Prices for the upgrade program will start at $32 a month, and will include unlocked phones with a user's choice of carrier. 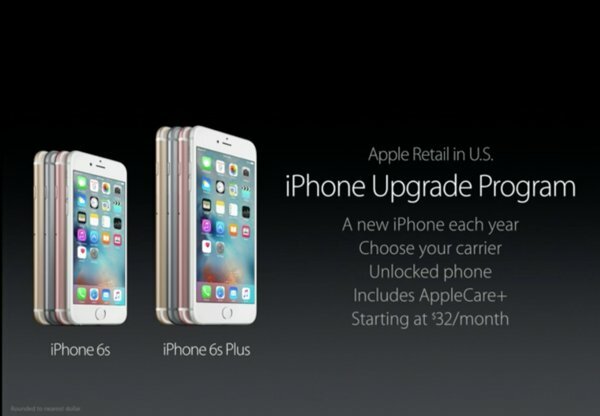 Each phone will also be covered under AppleCare+, Apple's most comprehensive warranty program. For people wanting to get an iPhone through a regular carrier lease program, prices will start at $19 for an iPhone 5s, $23 for an iPhone 6, or $27 for an iPhone 6 Plus. 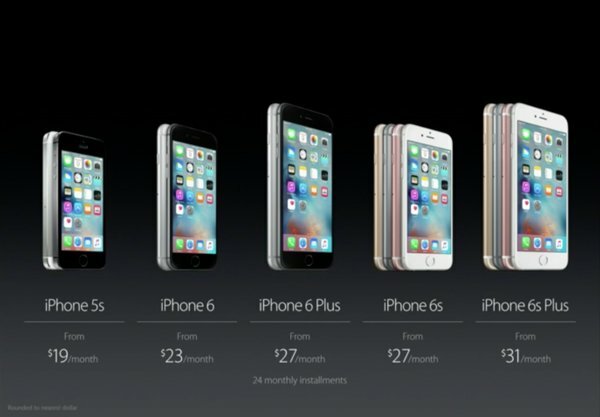 Apple's latest models, the 6s and 6s Plus, will begin at $27 and $31 a month. On a two-year contract, entry prices for the same devices will run from zero dollars for the iPhone 5s to $299 for a 6s Plus. 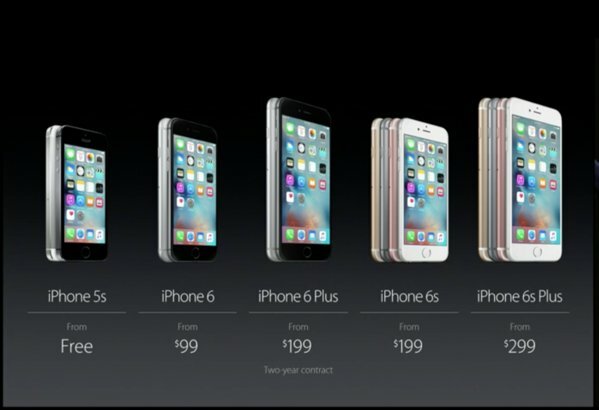 Preorders for the 6s and 6s Plus will open up this Saturday, Sept. 12. The products will be officially released on Friday, Sept. 25.